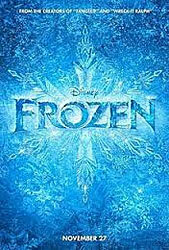 Critics are hailing Frozen as being Disney’s “return to form.” Hmmm. Well, it’s better than Brave, possibly better than Tangled. Not quite sure if I would rate it higher than Princess & the Frog. I think Princess & the Frog was the real return to form for Disney’s fairytale movies. Without that, Tangled and Frozen would have had a much harder time getting approved for production and release. But anyway, this is a review of Frozen, not a comparison so let’s get to it! Frozen takes the story of the Snow Queen and makes it a tale of two sisters, one born with the gift (or curse, depending on how you look at it) that will later turn her into the Snow Queen. Elsa, heir to the throne of Arendelle, has spent most of her life trying to learn to control and hide her powers of ice and snow after accidentally injuring her younger sister, Anna. On coronation day, a shock in the form of Anna’s engagement to Prince Hans causes Elsa to inadvertently reveal her powers and she flees the country, unleashing apparently eternal winter in the middle of summer. It’s a story about love – not just romantic love, but familial love. It’s Elsa’s love for her sister and family that cause her to hide her powers out of fear, it’s Anna’s love for Elsa that drives her search for Elsa and her conviction that Elsa isn’t all bad, and ultimately it’s sisterly love that saves the day. That’s not to say that they’ve left romance out of the equation. Prince Hans and Kristoff get their fair share of screentime too, and if there’s one thing that the amount of screentime devoted to certain characters tends to indicate, it’s the importance of their roles, whether heroic or villainous or just as a support. I do wish we’d gotten a bit more of Elsa, though. She’s more interesting than Anna, since she’s more complex. Ice and snow do look pretty on screen. (Then I remember falling on slippery, icy pavements in London, and waiting for buses in Edinburgh in winter. And I stand firm in my opinion that snow is only nice as long as I don’t have to be out in the snow for prolonged periods of time.) The sequence where Elsa builds her palace of ice (and changes her already pretty royal robes into almost Blue Fairy-like shimmery garb) gives a real sense of magical grandeur and left me longing to see her display more of her powers in that direction. 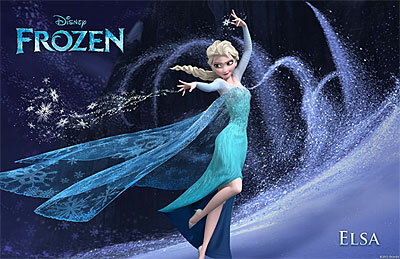 Much as I long for Disney to go back to 2D animation, I have to admit that the ice effects would not be the same in 2D. Frozen does follow the Disney and Pixar tradition of intense research to produce a believeable world. The production team went off to Canada and Norway to study ice and snow, and and the Scandinavian influences show up quite strongly in the environment designs. The songs by Kristin Anderson-Lopez and Robert Lopez have been praised by most reviewers, but I only found the opening song, “Frozen Heart”, and the song “For the First Time in Forever” really compelling and memorable. (That is, those songs are the ones I’m most likely to find myself humming and singing to myself.) That’s not to say that the others aren’t generally nice songs. “Do You Wanna Build a Snowman?” is a sweet, sad song, with Anna’s singing bookending the tragedy right in the middle. (Confession: I was very close to tears at that part.) Olaf’s “In Summer” makes you think that okay, someone really needs to tell that snowman what happens to frozen things in summer. There’s a bit in that song that goes: “Winter’s a good time to stay in and cuddle, but put me in summer and I’ll be a -” and right at that moment Olaf stops and stares at a puddle of water in his way before continuing – “happy snowman!” I laughed at that. I don’t think that would work in other languages unless the translators got really creative with the lyrics. Many of the songs contained a rather large amount of foreshadowing, which may have been rather heavy-handed. Fortunately for them, most people don’t pay too much attention to the song lyrics when watching a movie so it probably just sailed over most heads.